If you can’t take the heat, than get off of Qualcomm Field. 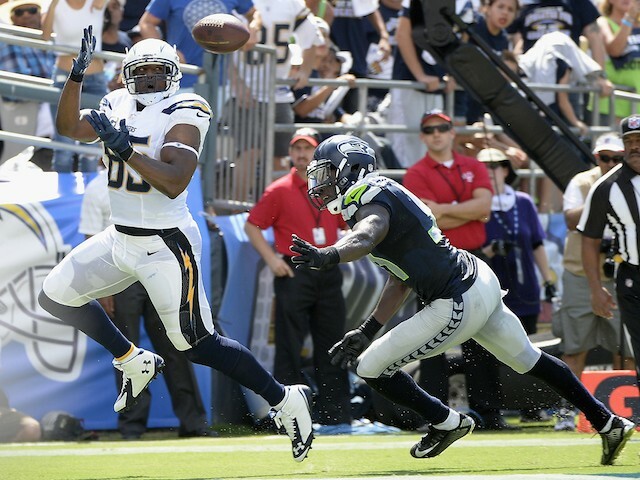 The Seattle Seahawks learned that the hard way in a disappointing 30-21 road loss against an impressive Chargers team. The legion of boom turned into the legion of “doom” as the Seahawks secondary surrendered three touchdowns; all to Antonio Gates. In the blistering sun, with temperatures even being reported at 115 degrees on the field, it had a significant impact on the Seahawks. Safeties Earl Thomas and Kam Chancellor had to excuse themselves from the game due to cramps caused by dehydration. (Don’t worry Earl and Kam, Lebron can definitely relate.) And other Seahwaks defensive players looked sluggish, as they gave up 30 pts; which is their highest total suurendered since week 5 of the 2013 season. The good news for the Seattle Seahawks is that Richard Sherman was not bored this game. After going all last game with no passes thrown his way, the flamboyant cornerback was challenged several times by San Diego Quarterback Philip Rivers. And Sherman was defeated on most of those occasions. It even prompted many Charger’s to state that Sherman had been “exposed”. Whether Sherman was exposed or not, one cannot deny that he had a subpar performance. The Seahawks definitely have their work cut out for them as they face a pass-heavy Broncos team next week, in what will be a rematch of Super Bowl XLVIII. Though the Seahawks got the best of the Broncos in the Superbowl, expect Denver to come into this game fully prepared and ready to execute an offensive explosion. In the meantime, it was sort of pleasant to watch the Chargers cool of that stingy Seattle defense and bring them back to earth.